It's hard to believe that is was 1994 when we first produced Ireland's Homes Interiors & Living magazine and now we're proud to say that we've sold over 4.4 million copies throughout Ireland. Each month we showcase readers' homes from all over the country, giving you a personal insight as to how they approached the task of creating their home - their encounters, problems and successes - and we bring you a balance of traditional and contemporary interiors which reflects local taste. As well as the homes and interiors, we feel it is important to look at other aspects of our lifestyle - local artists, craftspeople, designers and writers and of course that most important extension of the home, the garden. 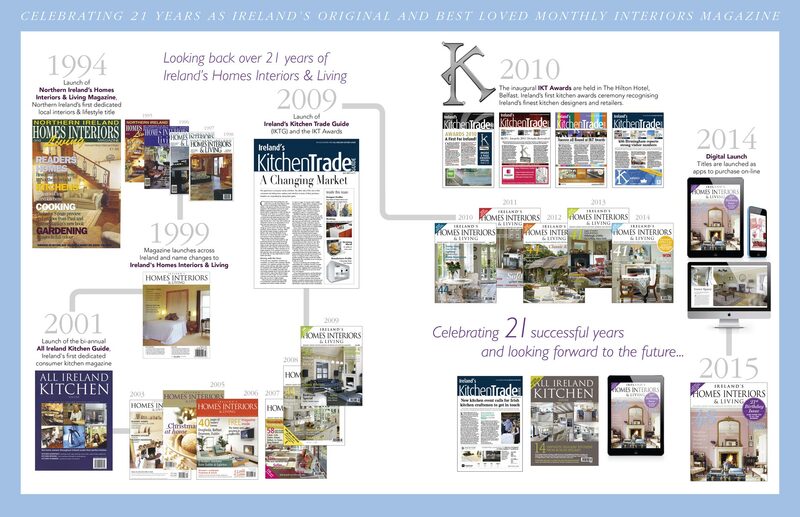 Our priority for the past 23 years has been to give you a magazine to enjoy, and in turn you've made us the best selling monthly interiors title in Ireland. We thank you for your continued support.